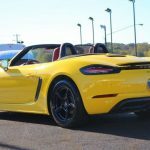 I keep coming back to this 2017 Porsche 718 Boxster. It’s very eye-catching. I like eye-catching. It’s pretty new so still looks in nice shape and the price, while probably not really discounted enough relative to new, isn’t too bad. You get an outstanding open-roof performance car for not a ton of money. As someone who’s always looking at 911s that’s a nice thing to see. But the reason I keep coming back to it and why I’m just now posting it both stem from its eye-catching nature. 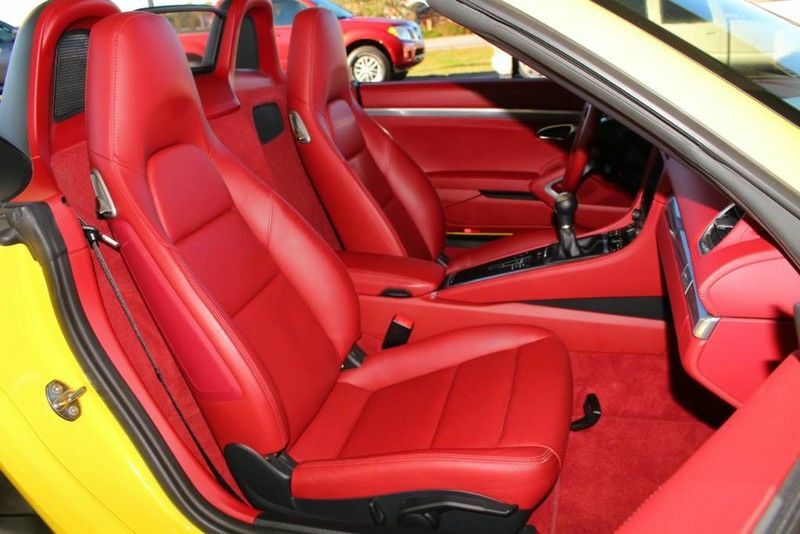 I love a bright red interior; I love a bright yellow exterior. Combine them and…I’m not so sure. Bright colors always are walking a fine line between exciting and garish. For me this one crosses that line and I don’t know that it works. But that line is highly subjective. For some a bright yellow car always will seem overly showy no matter what; for others it works just fine. So while this may not work for me, it might work for you. There’s no doubt it’ll turn heads. 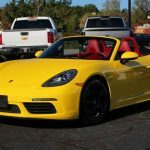 I believe this is the first of the new 718 Porsches I have featured. 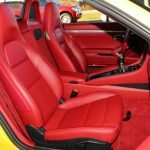 Like with the 911 all now are turbocharged, in this case utilizing a compact 2.0 liter boxer-4 to send 300 hp to the rear wheels through a 6-speed manual transmission. This isn’t the higher horsepower Boxster S, but the 300 horses do a well enough job of scooting things along. 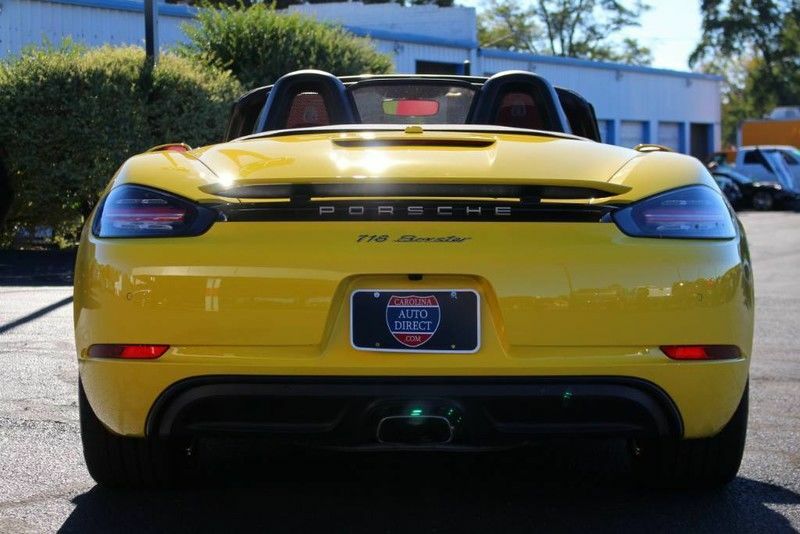 Like its predecessor, the Boxster’s forte is its driving dynamics paired to that open roof. 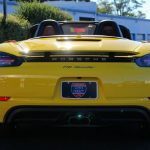 The 911 receives most of the Porsche accolades for very good reason, but if I wanted a Porsche for top-down driving I think I’d only consider a Boxster. 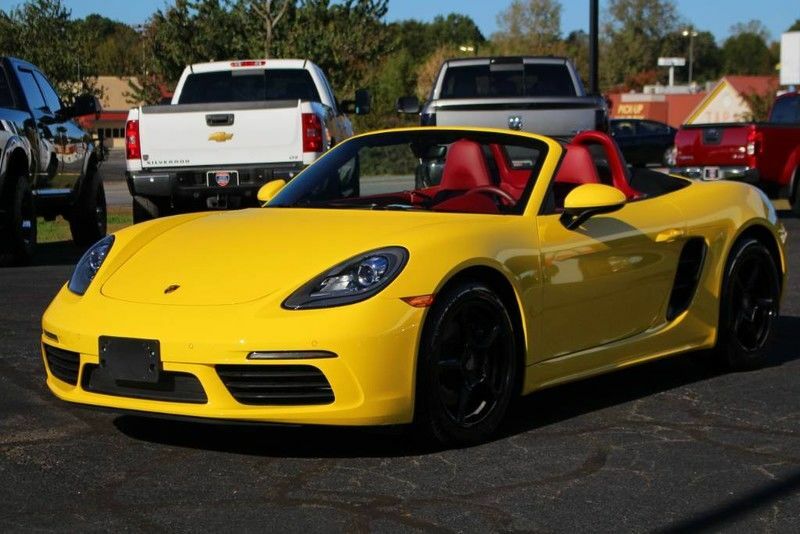 Other than the flashy colors this Boxster is pretty standard. There aren’t a bunch of options added in to inflate the price and that’s somewhat reflected in the $54K asking price we see attached to it now. As I noted above, I don’t think that’s quite enough of a discount relative to its $60,530 MSRP when new given that it already has 6,303 miles on it. 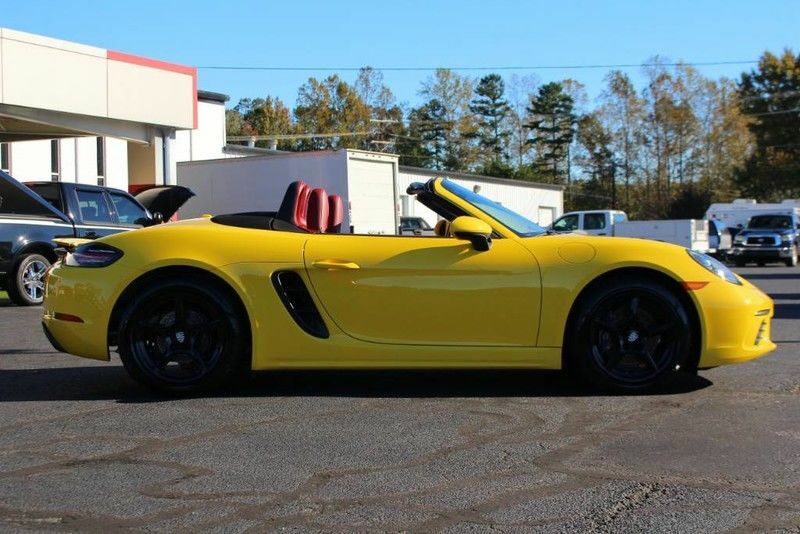 A quick search shows that this Boxster was listed at a previous dealer for a hair under $50K previously and I wonder if this seller simply is trying for a quick flip. 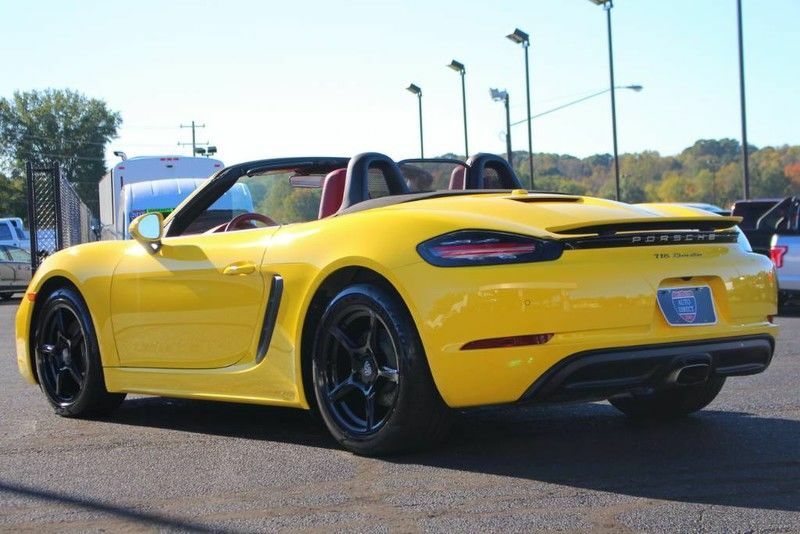 That $50K price seems much more what I’d expect and given the likely narrow market for a Boxster in these colors I think you should be able to get it for close to that. 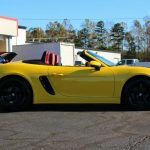 Tagged 2017, 718, Boxster, Porsche. I just sold a very yellow car so I certainly have no aversion there. 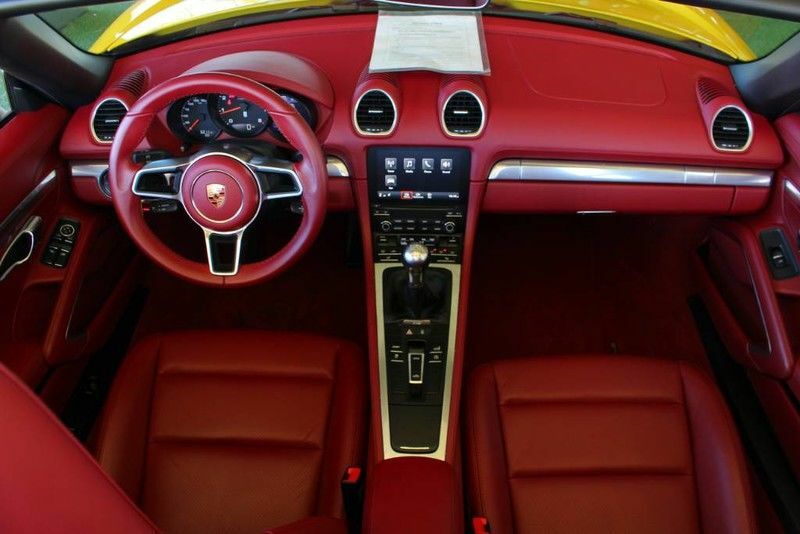 I had trepidation over the red interior and didn’t know what to expect. While I wouldn’t run out and buy this color combination I didn’t experience the shocking pain in my eyes nor vision loss I had expected. I think the fact that there isn’t much interior to try to overcome the yellow exterior. I like it and think You should grab it while you can Rob. That is a stunning color combo. I love it. 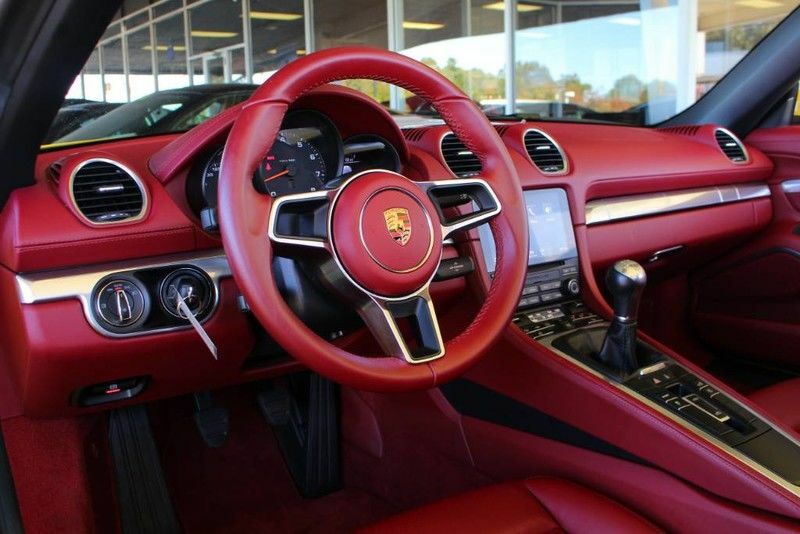 Porsche buyers don’t seem to mind bright colors. 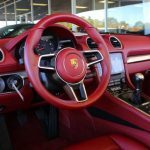 At the last Highline sale in Riverside CA Porsche Financial ran a 17 911 in miami blue with RED interior. There was very spirited bidding and it sold for good money.